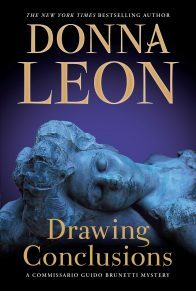 Donna Leon’s international best-selling and award-winning Commissario Guido Brunetti novels have been praised for their ability to place their readers into the thick of contemporary Venetian life. 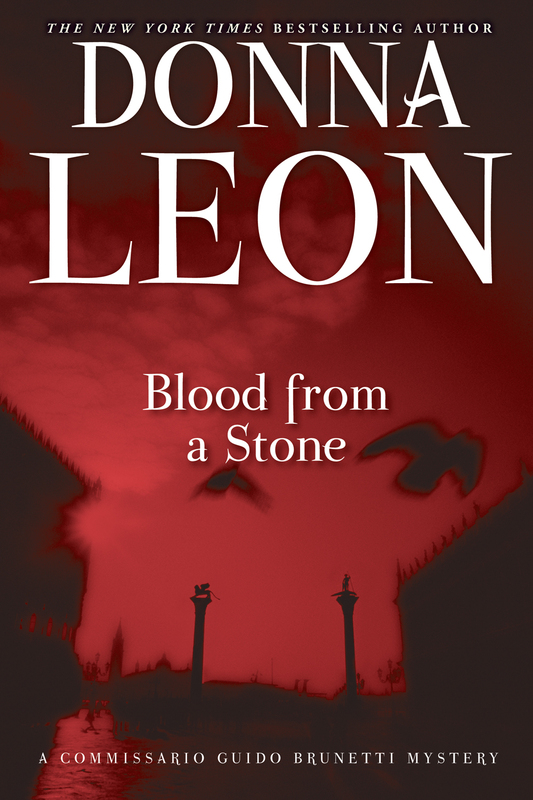 Now Blood from a Stone brings Commissario Brunetti back on the scene: On a cold Venetian night shortly before Christmas, a street vendor is killed in a scuffle in Campo Santo Stefano. The closest witnesses to the event are the American tourists who had been browsing the man’s wares—fake designer handbags—before his death. The dead man had been working as a vu cumpra, one of the many African immigrants peddling goods outside normal shop hours and trading without work permits. 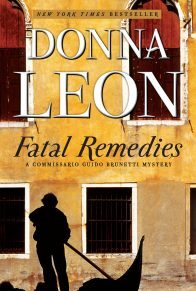 Commissario Brunetti’s response is that of everybody involved: Why would anyone kill an illegal immigrant? Because these workers have few social connections and little money, infighting seems to be the answer. And yet the killings have all the markings of a professional operation. 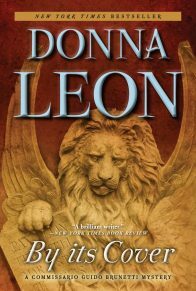 Once Brunetti begins to investigate this unfamiliar Venetian underworld, he discovers that matters of great value are at stake within the secretive society. While his wife, Paola, struggles to come to terms with their young daughter’s prejudices about the immigrants, Brunetti finds that his own police force shares many of the same biases. Warned by Patta, his superior, to desist from further involvement in the case, Brunetti only becomes more determined to unearth the truth. How far will Brunetti be able to penetrate the murky subculture of Venice’s illegal community? And how high does the corruption reach into the upper echelons of Brunetti’s own world and the world at large? 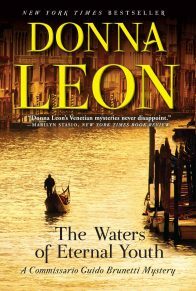 By a confirmed master storyteller, Blood from a Stone is a pitch-perfect mystery, an alluring portrait of contemporary Venice, and an elucidating eye into the attitudes of a timeless place in the grip of change. Two men passed under the wooden arch that led into Campo Santo Stefano, their bodies harlequined by the coloured Christmas lights suspended above them. Brighter light splashed from the stalls of the Christmas market, where vendors and producers from different regions of Italy tempted shoppers with their local specialities: dark-skinned cheeses and packages of paper-thin bread from Sardinia, olives in varying shape and colour from the entire length of the peninsula; oil and cheese from Tuscany; salami of all lengths, compositions, and diameters from Reggio Emilia. Occasionally one of the men behind the counters shouted out a brief hymn to the quality of his wares: “Signori, taste this cheese and taste heaven”; “It’s late and I want to go to dinner: only nine Euros a kilo until they’re gone”; “Taste this pecorino, signori, best in the world”. The two men passed the stalls, deaf to the blandishments of the merchants, blind to the pyramids of salami stacked on the counters on either side. Last-minute buyers, their number reduced by the cold, requested products they all suspected could be found at better prices and of more reliable quality at their local shops. But how better to celebrate the season than by taking advantage of shops that were open even on this Sunday, and how better to assert one’s independence and character than by buying something unnecessary? At the far end of the campo, beyond the last of the prefabricated wooden stalls, the men paused. The taller of them glanced at his watch, though they had both checked the time on the clock on the wall of the church. The official closing time, seven-thirty, had passed more than a quarter of an hour before, but it was unlikely that anyone would be out in this cold to check that the stalls ceased trading at the correct time. “Allora?” the short one asked, glancing at his companion. The taller man took off his gloves, folded them and put them in the left pocket of his overcoat, then jammed his hands into his pockets. The other did the same. Both of them wore hats, the tall one a dark grey Borsalino and the other a fur cap with ear flaps. Both had woolen scarves wrapped around their necks, and as they stepped beyond the circle of light from the last stand, they pulled them a bit higher, up around their ears, no strange thing to do in the face of the wind that came at them from the direction of the Grand Canal, just around the corner of the church of San Vidal. The wind forced them to lower their faces as they started forward, shoulders hunched, hands kept warm in their pockets. Twenty metres from the last stall, on either side of the way, small groups of tall black men busied themselves spreading sheets on the ground, anchoring them at each corner with a woman’s bag. As soon as the sheets were in place, they began to pull samples of various shapes and sizes from enormous sausage-shaped bags that sat on the ground all around them. Here a Prada, there a Gucci, between them a Louis Vuitton: the bags huddled together in a promiscuity usually seen only in stores large enough to offer franchises to all of the competing designers. Quickly, with the speed that comes of long experience, the men bent or knelt to place their wares on the sheets. Some arranged them in triangles; others preferred ordered rows of neatly aligned bags. One whimsically arranged his in a circle, but when he stepped back to inspect the result and saw the way an outsized dark brown Prada shoulder bag disturbed the general symmetry, he quickly re-formed them into straight lines, where the Prada could anchor their ranks from the back left corner. Occasionally the black men spoke to one another, saying those things that men who work together say to pass the time: how one hadn’t slept well the night before, how cold it was, how another hoped his son had passed the entrance exam for the private school, how much they missed their wives. When each was satisfied with the arrangement of his bags, he rose to his feet and moved back behind his sheet, usually to one corner or the other so that he could continue to talk to the man who worked next to him. Most of them were tall, and all of them were slender. What could be seen of their skin, their faces and their hands, was the glossy black of Africans whose ancestry had not been diluted by contact with whites. Whether moving or motionless, they exuded an atmosphere not only of good health but of good spirits, as if the idea of standing around in freezing temperatures, trying to sell counterfeit bags to tourists, was the greatest fun they could think of to have that evening. Opposite them a small group was gathered around three buskers, two violinists and a cellist, who were playing a piece that sounded both baroque and out of tune. Because the musicians played with enthusiasm and were young, the small crowd that had gathered was pleased with them, and not a few of them stepped forward to drop coins into the violin case that lay open in front of the trio. It was still early, probably too early for there to be much business, but the street vendors were always punctual and started work as soon as the shops closed. By ten minutes to eight, therefore, just as the two men approached, all of the Africans were standing behind their sheets, prepared for their first customers. They shifted from foot to foot, occasionally breathing on to their clasped hands in a futile attempt to warm them. The two white men paused just at the end of the row of sheets, appearing to talk to one another, though neither spoke. They kept their heads lowered and their faces out of the wind, but now and then one of them raised his eyes to study the line of black men. The tall man placed his hand on the other’s arm, pointed with his chin towards one of the Africans, and said something. As he spoke, a large group of elderly people wearing gym shoes and thick down parkas, a combination that made them look like wrinkled toddlers, flowed around the corner of the church and into the funnel created by the buskers on one side, the Africans on the other. The first few stopped, waiting for those behind to catch up, and when the group was again a unit, they started forward, laughing and talking, calling to one another to come and look at the bags. Without pushing or jostling, they assembled themselves three-deep in front of the line of Black men and their exposed wares. The taller of the two men started towards the group of tourists, his companion following close behind. They halted on the same side as the church, careful to stand behind two elderly couples who were pointing at some of the bags and asking prices. At first the man whose sheet it was did not notice the two, since he was attending to the questions of his potential customers. But suddenly he stopped talking and grew tense, like an animal scenting menace on the wind. The black man at the next sheet, aware of his colleague’s distraction, turned his attention to the tourists and decided instantly that he would have good luck with them. Their shoes told him to speak English, and he began: “Gucci, Missoni, Armani, Trussardi. I have them all, ladies and gentlemen. Right from factory.” In the dimmer light here, his teeth glowed with Cheshire cat brilliance. Three more of the tourist group insinuated their way past the two men to stand with their friends, all excitedly commenting on the bags, their attention now evenly divided between the items on both sheets. The taller man nodded, and as he did, both moved forward until they were standing just a half-step behind the Americans. Seeing them advance, the first trader pivoted on his right foot and started to arch himself away from the sheet, the tourists, and the two men. As he moved, the men took their right hands from their pockets with a smooth, practised ease that called no attention to itself. Each held a pistol, their barrels extended by tubular silencers. The taller of the two was the first to fire, though the only sound the gun made was a dull thwack, thwack, thwack, accompanied by two similar noises from the pistol of his companion. The buskers had worked their way towards the end of the allegro, and their music plus the shouts and squeals of the encircling crowd all but covered the sound of the shots, though the Africans to either side turned instantly towards them. Momentum continued to carry the bag seller away from the people in front of his sheet; then gradually his motion slowed. The men, their guns now in their pockets, backed through the crowd of tourists, who politely moved out of their way. The men separated, one moving towards the Accademia bridge and the other towards Santo Stefano and Rialto. Quickly they disappeared among the people hurrying in both directions. The bag seller cried out and threw one arm out in front of him. His body completed its half-circle, then sprawled to the ground beside his bags. Like gazelles who panic and take flight at the first sign of danger, the other black men froze for an instant and then exploded with frightening energy. Four of them abandoned their wares and took off, running for the calle that led towards San Marco; two paused long enough to grab four or five bags in each hand, then disappeared over the bridge that led towards Campo San Samuele; the four remaining men left everything and fled towards the Grand Canal, where they alerted the men whose sheets were spread at the bottom of the bridge, over which they all ran, separating at the bottom and disappearing into the calli of Dorsoduro. A white-haired woman was standing in front of the trader’s sheet when he collapsed. When she saw him fall, she called out to her husband, who had been separated from her, and knelt beside the fallen man. 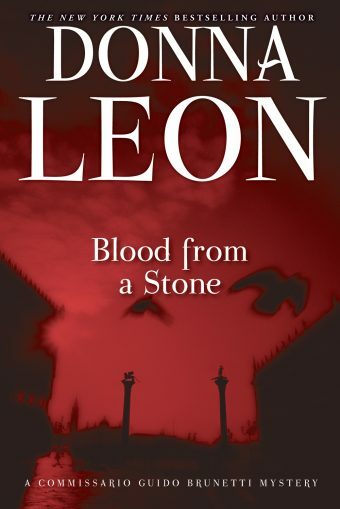 She saw the blood that seeped out from under him, staining the sheet red. Her husband, alarmed by her cry and her sudden sinking to the ground, pushed roughly through their friends and knelt beside her. He moved to put a protective arm around her shoulder, but then he saw the man on the sheet. He placed his hand at the man’s throat, kept it there for long seconds, then removed it and got to his feet awkwardly, his knees reluctant with age. He bent and helped his wife to stand. They looked around and saw only the people in their group, all gaping back and forth between each other’s confused faces and the man who lay at their feet. On either side of the broad street extended the rows of outspread sheets, most still covered with neatly positioned bags. As the crowd in front of them turned away one by one, the buskers stopped playing. It was another few minutes before the first Italian approached, and when he saw the black man, the sheet, and the blood, he pulled his telefonino from the pocket of his coat and dialed 113. 2. “Who’d want to kill a vu cumpra?” Rizzardi asked” (p. 11). What are the attitudes of the citizens of Venice toward these street people? Are they tolerated by official insouciance, a general shrug about illegal immigrants? Brunetti had assumed they functioned under the arm of organized crime. Is there evidence of that? 3. Even though we never know the name or even the proven nationality of the murder victim, how are we led along with Brunetti to a gradual sympathy with him and other vu cumprà trying to survive in Venice? Does the description of the bag sellers as beautiful, tall, straight, even happy people set up the victim as sacrificial? Do these Africans represent some simpler, golden age as compared to the sophisticated corruption of the Italians? 4. How does Brunetti’s personality help him in his unorthodox investigations? Does he ever have second thoughts about using his past and present network of friends? When? Does his character also limit his career, especially considering his “refusal to curry favour with the men in power” (p. 51)? 5. “Was this the historian’s plight, Brunetti wondered, never to know what was true but only what made sense? Or the policeman’s?” (p. 59). What is he worried about here? 6. Are there times Brunetti crosses lines of ethics, even legality? When? Does this behavior compromise him? Or is he just a functioning pragmatist? Does there seem to be any real way to work within the system without sabotaging it at times? Blackmail? Evidence tampering? Give examples. Are there times, aside from his interactions with Sandrini and the Albanian prostitute, when Brunetti is “strangely cheered by the consideration of his own perfidy” (p. 62)? 7. How does Paola serve as a bridge between the old Venice and the new one? Would her moral distinctions, such as her outrage at Chiara, be taken as seriously by her family and the reader if she had no aristocratic cushion? Is she a limousine liberal or truly a person of conscience? 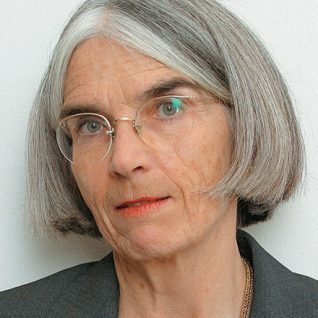 What does she provide for Brunetti besides access to academia? Devil’s advocacy? 8. How does Don Alvise’s character serve as a moral touchstone (see p. 69-75)? Are there other such touchstones for Brunetti? Does he have dependable allies within his department? 9. Brunetti, a remarkably intelligent, well-read man, is technologically inept. What does his resistance to modernity suggest about his other talents and values? He harkens back to the Iliad and to Roman historians. His son gives him Pliny for Christmas. 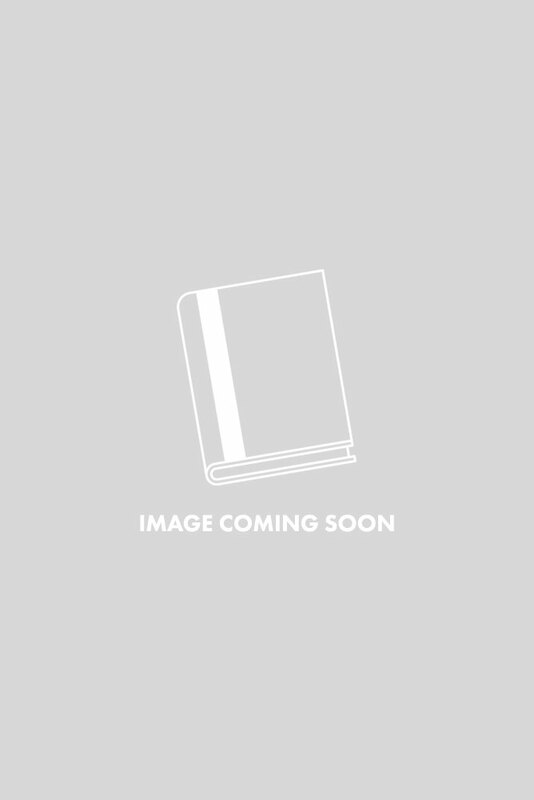 What does Brunetti glean from his readings? And how does he recognize his need for technology? 10. What is the significance of the carved (truncated) head? 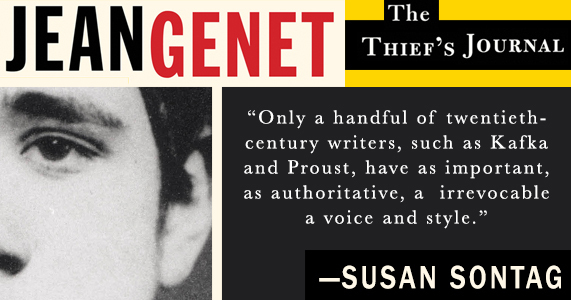 How does Brunetti’s academic research lead him further into the mystery? How do art, mythology, and fetishism converge in this artifact? What happens to it? 11. Black Africans are not the only group subjected to prejudice and stereotype in the course of the novel. Who else comes under fire? How are Americans portrayed? Who weighs in on the subject and why? What are Brunetti’s own susceptibilities to prejudice? He can assume that his daughter did not learn dismissal of Africans at home, that it must have been “something, like head lice, that Chiara picked up in school” (p. 30). But to what biases are he and many other Venetians vulnerable (see pp. 30, 33, and 48)? 12. At times does the police story assume a fun-house atmosphere? Sometimes katzenjammer funny (the rescue in a shallow canal) and other times insane (the confiscation of thousands of counterfeit bags that just mushroom again the next day)? What other examples of mayhem do you see in the police? “It’s all crazy, the whole thing,” said Rubini” (p. 52). Is it this particular department, made up of eighty percent pro-government and anti-immigrant officers, that causes havoc and engages in collusion? 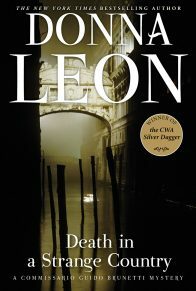 Donna Leon has addressed the inefficiency of the police and emergency services in Venice in her other books. Do you think she is commenting on a failing of the Venetian government or the impossibility of imposing a principled order anywhere? 13. What do you think the title implies? How do stones recur as a motif in the book? Look again at Don Alvise’s renunciation of his vocation on page 70.